Promotional CD-R issued in Australia and New Zealand, comes in a plastic envelope and limited to approximately 240 copies. After forming in Madison, WI, Garbage released their self-titled debut album in 1995 and rode a wave of visually arresting, female-fronted alternative rock bands. The album spawned the hit singles “Stupid Girl” and “Only Happy When It Rains” and was certified double platinum in Australia, the United Kingdom, and the United States, and went to #4 on the ARIA charts. The band won the Breakthrough Artist Award at the 1996 MTV Europe Music Awards, and was nominated for the Best New Artist Grammy® Award. Their second album, “Version 2.0″, was released in 1998, was certified platinum in Australia and peaked at #5. It was nominated for two Grammy Awards including Album of the Year and Best Rock Album. 2001’s platinum-selling “Beautiful Garbage” was named one of Rolling Stone Magazine’s Top 10 Albums Of The Year and reached #1 on the ARIA charts. In 2005, Garbage released “Bleed Like Me”, earning the band gold status and a #4 place on the charts. 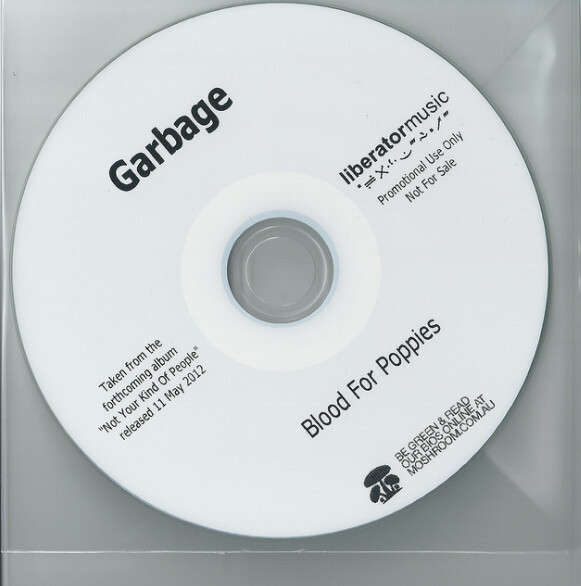 In 2007, the band released a retrospective collection called Absolute Garbage. Garbage has sold over 12 million albums worldwide, they have performed in over thirty-five countries and will tour extensively worldwide in support of this new release. Garbage is Shirley Manson (vocals), Steve Marker (guitars, keyboards), Duke Erikson (guitars, keyboards) and Butch Vig (drums, loops).